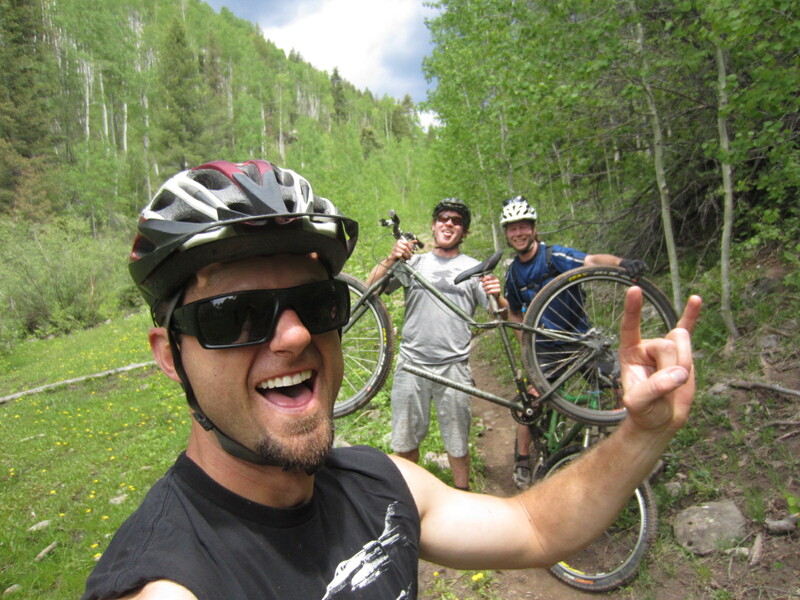 Today it was the rugged downhill of the Dutch Creek trail in the San Juan Mountains that ate my friend Jake’s mountain bike. 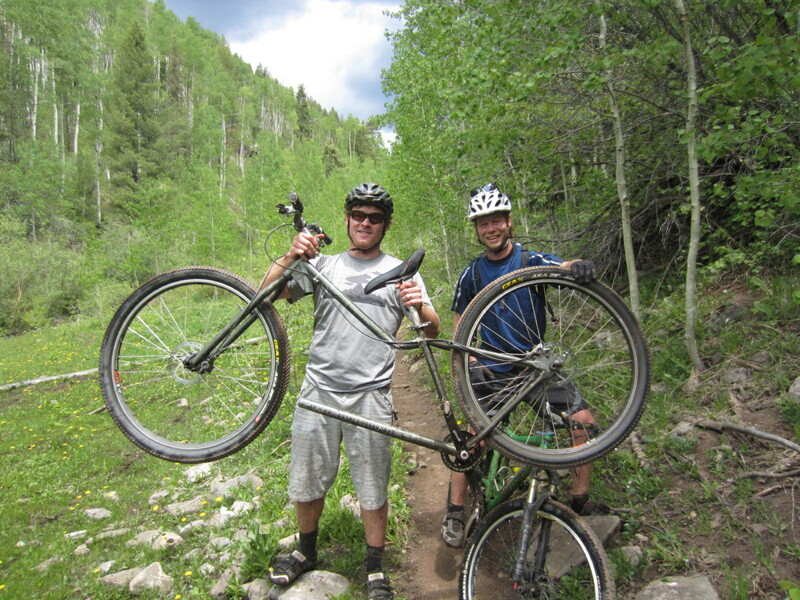 On a shuttle ride from the top of Dutch Creek trail to the lower Hermosa Creek trail head, Jake Walsh’s hard-tail, rigged 29er broke completely in half after a few creek crossings during the fast part of the descent. It was an amusing moment, but not so much when Walsh had to hike 7 miles out of the backcountry with the bike on his shoulder–with clip-in shoes on his feet. Jake Walsh, left and Tim Dion, right. Jake Walsh, Tim Dion and this blogger held the lower bar in place with a stick inside the hollow tube. The top tube we splinted together with a spare tire, an aspen sapling and some zip ties. Walsh was able to walk and run with the bike for a little while, but ended up having to carry it out of for a large part of the trail due to the back tire wanting to go a different direction from the front tire. 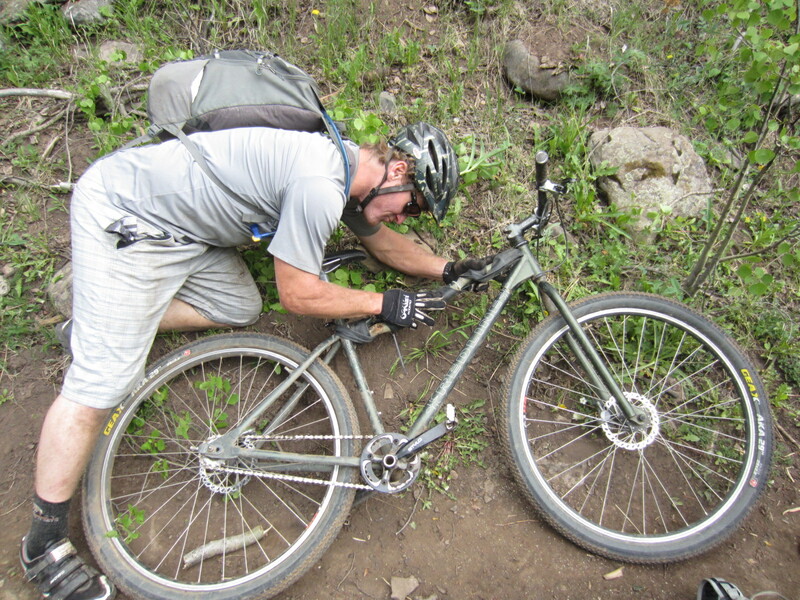 Jake Walsh mourns the loss of his rigid Redline 29’er single speed in Dutch Creek on Saturday. 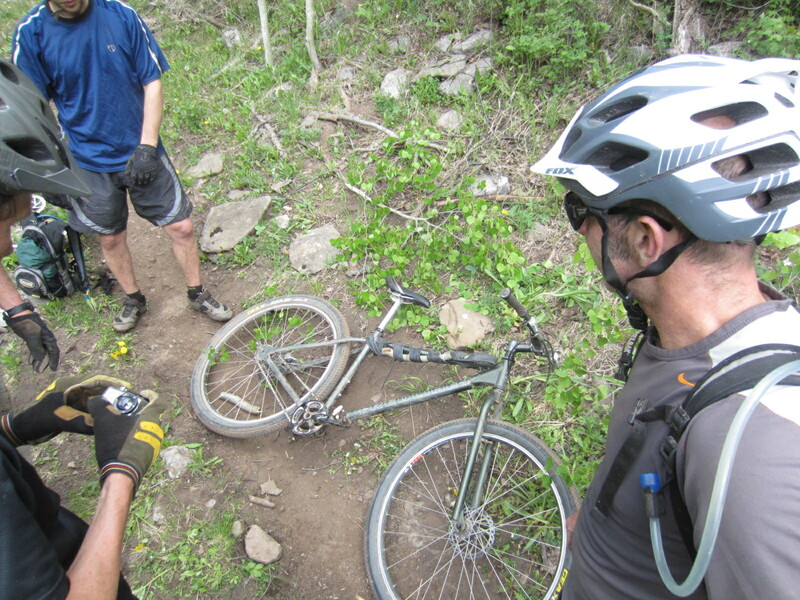 Walsh ended up carrying the corpse of his bike out on his shoulder 7 miles to the lower Hermosa Creek trail head–in clip-in shoes.